A solo durational choreographed performance, alongside rocks, bones and small sculptures which will surround Isobel as she performs. Using a chiffon costume as a dancing partner, she will hold contorted, strained poses which flicker from stillness into uncontrollable movement as her limbs become tired with the strain of tension. The soundtrack will be a bespoke piece recorded by Moth Code. The performance will last approximately one hour from 5.30pm -6.30pm. Free entry. Drinks and refreshments available. Welcome all. This event is part of Somerset Art Weeks Festival 2017. Isobel Adderley has recently gained BA (Hons) Fine Art at Goldsmiths, University of London. She is fascinated by our preconception of the body and physical space as separate and opposing forces. Isobel attempts to blur or trouble these preconceptions in her work and uses film, sculpture, live performance and music production to directly impinge on her audience in different physical ways. 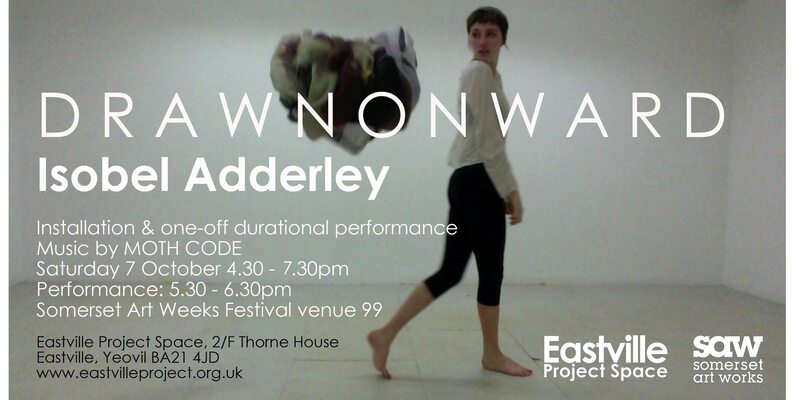 Isobel Adderley is supported by Creative Pathways Bursary from Somerset Art Works.